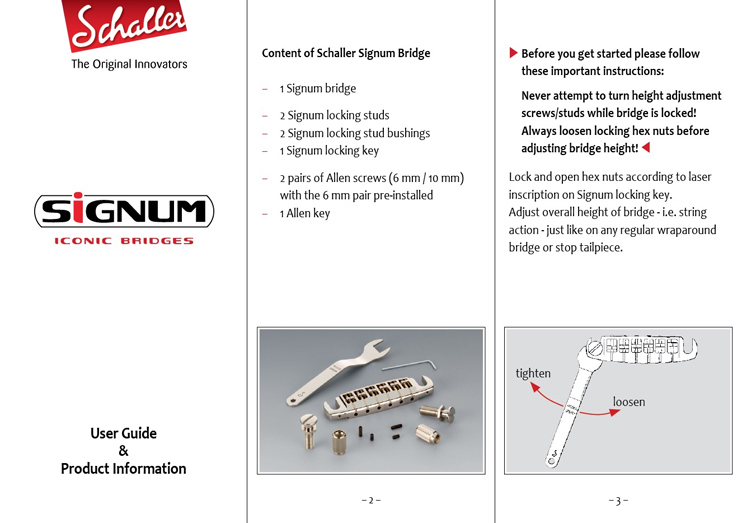 Introducing the all new Schaller Signum locking bridge. Designed to boost your guitars sound, playability and looks. 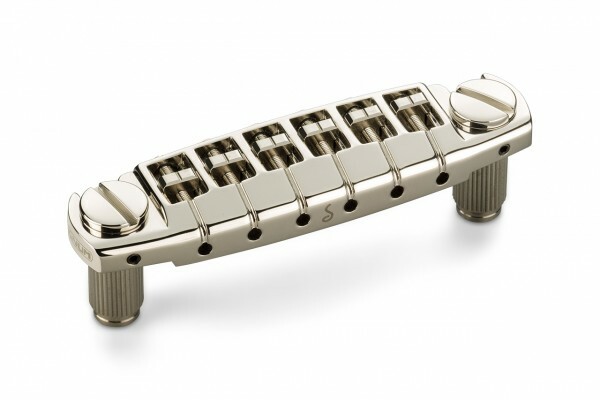 Special design locking studs for tight connection and perfect sound coupling. Superb tonal definition by state-of-the-art string saddle shaping. Perfect natural resonance resulting in rich dynamics, sustain and overtones. Top surface elements designed for unparalleled playing comfort. Elegance and versatility for all guitar styles. 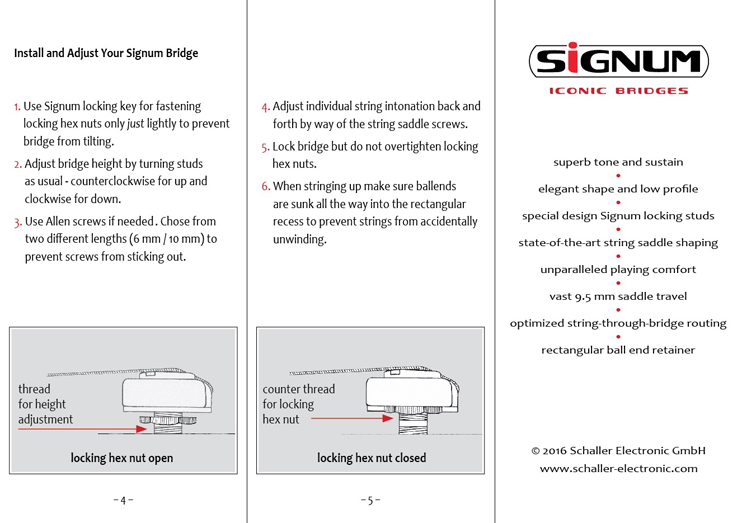 With its sleek design and unique construction details Signums G/D string height above body can be adjusted as low as 13.20 mm (0.520). 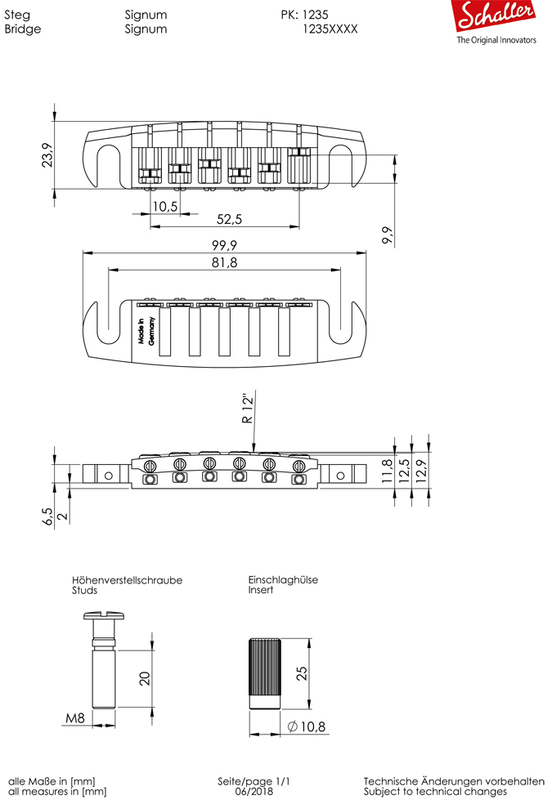 2 Signum Locking studs M8 with 2 Signum Locking stud bushings 11.2 x 25 mm, 1 Signum Locking key ergonomically shaped for trouble-free locking, 2 pairs of different lengths Allen screws (6 mm/10 mm) for flawless visual appearance (6 mm pre-installed), 1 Allen key for Allen screws.